The Hague (AFP) - The Hague brands itself as the "City of Peace and Justice", but this week the stately seat of the Dutch government also revealed a darker side with the exposure of four alleged Russian spies. The sedate city bordering the North Sea is home to a slew of international organisations that have also made it increasingly attractive to espionage and cyber-attacks, officials and experts say. The scale of those normally undercover activities was suddenly thrust into the daylight this week when the Netherlands said it had busted a Russian plot to hack the world's chemical watchdog. In scenes that could have come from a spy film, the four alleged members of Russia's GRU military intelligence agency were caught red-handed with a car full of electronic gear in a carpark next to the Organisation for the Prohibition of Chemical Weapons. "The Hague as a UN city focusing on issues of human security is attracting judicial bodies and international organisations... also illicit activities," Jan Melissen, a diplomacy expert at Leiden University and the Clingendael institute, told AFP. "In the past, diplomacy and intelligence used to be seen as almost two concepts as almost watertight compartments. Now they are coming much closer as we see here in The Hague." Ever since The Hague Conventions of 1899 and 1907 that helped set down the laws of international warfare, it has drawn a growing array of international bodies. Their grand headquarters lining The Hague's leafy, orderly streets now offer rich pickings for spooks. 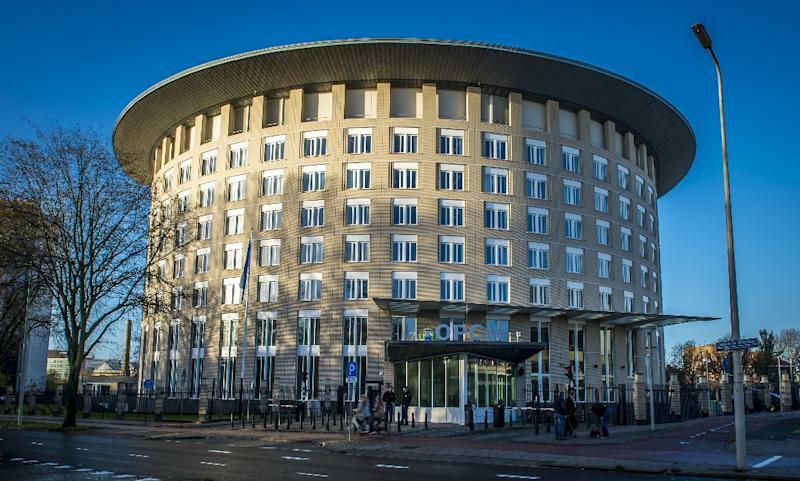 Apart from the OPCW, it also hosts the UN's top International Court of Justice, the International Criminal Court and the Mechanism for International Criminal Tribunals -- the former Yugoslavia war crimes court. The EU's police agency Europol and judicial body Eurojust are just around the corner. The Dutch prime minister's official residence meanwhile is across the road from the OPCW. A stone's throw away, one of The Hague's best-known museums the Museon, last month was one of the venues of the city's annual "Just Peace" festival. Over two days, the festival saw a host of events relating to "peace and justice" -- including an exhibition focusing on UN peacekeeping. "The Hague is very much at the centre of the re-framing of what security, justice and human rights values and violations are all about," said Melissen. "This takes The Hague out of proportion. For a small UN city... it's becoming very visible." For a small country, the Netherlands generally attracts plenty of unwelcome attention from spy services. The two Russians named by Britain as being behind the Salisbury nerve agent attack on a Russian double agent allegedly passed during their travels through Amsterdam's Schiphol airport -- the same gateway that the four alleged OPCW hackers came through and were then expelled from. The Netherlands has found itself in Russian crosshairs too during the investigation into the shooting down of Malaysia Airlines flight MH17 in 2014 over Ukraine as it flew from Schiphol to Kuala Lumpur. A laptop belonging to one of the four Russians expelled in April had been linked to Malaysia and activities related to the MH17 probe. "I often hear people say that the Netherlands is too small and insignificant to interest hackers, but this is of course not the case," said Ben de Jong, a Dutch specialist in Russian intelligence agencies. "We've got important organisations here, like the OPCW... Besides if you have an in into one NATO country, you effectively have an in into all of them," De Jong told the popular Algemeen Dagblad tabloid. Melissen said that "clearly, this sort of thing has been going on since time immemorial -- also in The Hague." "There is much greater transparency these days so there is greater awareness of illicit activities -- also among The Hague's diplomatic corps," Melissen said. The spying activities that do go on are a far cry from the glamorous world of James Bond -- as the arrest of the Russian agents showed. The manager of the Marriott hotel said that Dutch agents had simply come in and asked at reception to see the four men -- and that by coincidence they came down in the elevator at that moment. "The police officers simply told the men: 'Will you please follow me' -- and they did!," manager Vincent Pahlplatz told AFP. "No Aston Martins, no revolving number plates, nobody sky diving from the rooftop." Indeed, perhaps The Hague's only appearance in the fictional spy world to date is more apt -- a bleak beachfront scene in the John Le Carre classic "The Spy Who Came In From The Cold", a novel in which no one really knows who is who until it is too late.